No screens, no keyboards, just a low-tech toy full of musical fun. 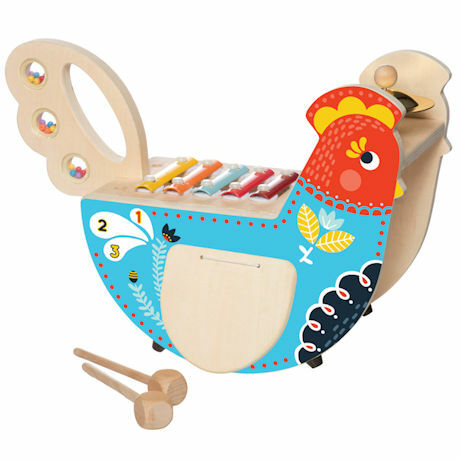 Colorful rocking chicken has a cymbal on her head, a 5-bar xylophone on back, clacking wings, a pair of drumsticks, a set of notches for making ratchet sounds, and a removable maraca tail. It introduces little ones to music and sounds and builds motor skills. About 12" long, 11" high. Ages 12 mos. and up.